Alice In Wonderland reigned supreme in the international marketplace and grossed $100.5m from 40 territories in its launch weekend, much higher than initial studio estimates from the weekend. Walt Disney Studios Motion Pictures International (WDSMPI) executives said the launch from 5,600 theatres generated the biggest sum for any international debut during the winter-spring corridor (January to April), adding that 65% of box office came from 3D locations. Despite only launching in 60% of the overseas marketplace, this was the second best launch in Disney history behind Pirates Of The Caribbean 3, which took $216m from 102 territories in May 2007. Combined with this weekend’s estimated $116.3m North American launch the film has amassed approximately $216.8m worldwide in its first few days. Opening top in all its markets, Alice presented director Tim Burton with a career high opening weekend, almost tripling the result of his previous best, Charlie And The Chocolate Factory. Looking specifically at the month of March, Alice almost doubled the previous best weekend recorded by any film in the month, overhauling the $48.3m set by 300 in its third weekend back in 2007. Driving the weekend business was a mighty launch in the UK on $15.9m (£10.6m) from 532 theatres. This was Disney’s third biggest debut of all time behind Pirates Of The Caribbean 2 (£11.5m) and Pirates Of The Caribbean 3 (£11.3m), and the third biggest non-sequel debut behind Harry Potter 1And The Sorcerer’s Stone and The Simpsons Movie. The UK launch also gave Burton a career-best result and almost doubled the previous best March opening of £6.4m set by Mr Bean’s Holiday in 2007. 3D screens represented 44% of the total screen count and accounted for 70% of business. Italy generated $14.5m (€10.7m) from 533 in the biggest industry launch in history and Burton’s biggest launch by far. 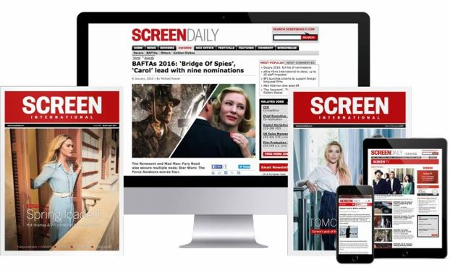 3D screens represented 52% of the screen count and earned 78% of revenue. Russia delivered $12.3m (370m roubles) from 655 theatres for Disney’s biggest launch, the fifth biggest industry debut, and Burton’s best opening weekend result. 3D screens represented 54% of the screen count and generated over 79% of the box office. Australia produced $9.4m (AS$10.3m) from 345 in Disney’s third biggest launch behind Pirates Of The Caribbean 3’s AS$12.1m and Pirates Of The Caribbean 2’s AS$11.3m. This was the biggest March launch ever, the fourth biggest non-sequel debut, and easily set a new debut mark for Burton. 3D screens accounted for 43% of the total screens and generated more than 78% of box office. In two further results of note, Alice In Wonderland grossed $7.5m (96.6m pesos) in Mexico from 662 for Disney’s biggest ever launch and the fifth biggest industry launch. This was the second biggest non-sequel opening in history behind only Spider-Manin 2002, and set the biggest March debut and a new career high for Burton. Across Latin America (excluding Brazil and Chile) the film took $13.3m for the fourth biggest regional launch in industry history. South Korea generated $5.2m (6bn KRW) from 397 theatres for Disney’s third biggest launch behind Pirates Of The Caribbean 3 on 10.3KRW and Pirates Of The Caribbean 2 on 6.8bn KRW. The biggest March release was also a career-high for Burton. Alice In Wonderland is set to roll out in Belgium on March 10, Finland on March 12, France on March 24, China on March 26, Spain on April 16, Japan on April 17, and Brazil on April 21. Avatar lost more than 1,000 international 3D screens to Alice In Wonderland yet still pulled in an estimated $22.9m through Fox International in its 12th weekend from 5,447 in 69 territories, raising the tally to $1.884bn. The film stayed top for an unprecedented 12 weeks in a row in Brazil, adding $1m from 300 for $54.6m. Japan has reached $148.7m, France $170.7m, the UK $142.7m and Germany $142.9m, and $113.6m in Russia. China remains the top territory outside North America on $182.2m. Percy Jackson & The Olympians: The Lightning Thief added $9.4m from 5,544 in 66 for $110.1m and stands at $11m in the UK, the leading territory so far. Alvin And The Chipmunks 2 stands at $221.3m. The two local language productions continue to perform well: My Name Is Khan has reached $30.9m and has grossed $22.2m in India and $3.9m in the UK, while Hot Summer Days stands at $18.3m, of which $17.5m comes from China. Paramount/PPI’s Shutter Island grossed $17m in total overseas, of which $9m came from 1,436 PPI locations in 20 territories. The total from Paramount market has risen to $34m, while the thriller stands at $57m overall. The film stayed top in France as $4m from 540 boosted the tally to $12.8m. In Australia it added $1.1mn from 212 for $7m. Among non-Paramount territories, notable results included a $2.1m opening in Italy, a $2.7m second weekend in Germany, where the tally stands at $6.9m, and $1.5m in the third weekend in Spain for $7.7m. The Lovely Bones grossed $3.6m from 2,724 locations in 37 territories for $41.6m internationally, while Up In The Air grossed $2.4m from 1,599 locations in 56 territories for $72.6m. In its second weekend in the UK, The Crazies grossed $1.1m from 349 locations for $3.9m. Latest figures from Warner Bros Pictures International puts Valentine’s Day on $4.9m from 3,350 screens in 61 markets for $96.8m, while Invictus added $4.8m from 2,375 screens in 43 markets $79.4m after taking a further $1.9m in Italy from 443 for $5.7m after two. Sherlock Holmes grossed $3.2m from 2,030 screens in 38 markets for $282.4m, and The Blind Side added $2m from 308 screens in nine international markets for an early $7.3m. Universal/UPI’sThe Wolfman bit a further $4.2m chunk out of the overseas marketplace from 4,400 venues in 57 territories to raise the international total to $71m. Mexico was the leading top holdover with $510,000 from 440 and has amassed $9.9m. The Wolfman ranks fourth after four weekends. It’s Complicated grossed $2.3m from 1,360 locations in 38 territories for $94.3m and performed well in its second weekend in Brazil, where it held in second place on $865,000 from 168 dates for $2.2m. The Men Who Stare At Goats got off to a decent start overseas as it opened top in Spain through Sony Pictures Releasing International on an impressive $1.8m from 226 and launched in Australia on $460,000 from 60. The first two territories have generated $2.3m from 286. Cloudy With A Chance Of Meatballs added $1.1m from 1,100 in 20 markets for $114.6m, and Did You Hear About The Morgans? stands at $49.5m from 34 markets.